Got introduced by one of my friends to join the COURTS Homeclub membership quite some time ago and was so happy to be receiving my card in the mails today. Been a frequent shopper at Courts, it didn’t occurred to me to sign up for their HomeClub membership. The COURTS HomeClub is zero fees lifetime membership, which also means that you dd not have to worry about forgetting to renew your card before it expires. And thats’ not all. Just take a look at all the benefits of being a member. Aren’t you tempted? Sign up for this wonderful membership for yourself now under my REFERRAL LINK to receive a S$5 e-voucher from Courts, and also a mystery goodie bag from me. Drop me a comment here with your name after you had signed up. I will confirmed and mail out the mystery goodie bag to you within one working week. Over the months, I’ve managed to chalked up a considerable amount of Bella reward points. Now its finally time to utilise them and do some online shopping at BellaBox online shop. I have a hard time deciding which item tu get. Everything looks so nice and tempting. Delivery was fast and the items reached me within one working week and nicely packed in the familiar red paper bag. Was kinda disappointed that the items were not bubble wrapped to prevent any damage incurred during transition. Maybe its just me who is being obsessed with bubble wraps. Behold! The goodies that I had bought for myself and also the samples given by BellaBox for any purchase. After utilising my points, I only paid S$7 plus, inclusive of delivery fees. Shall start using my goodies from tomorrow onwards. 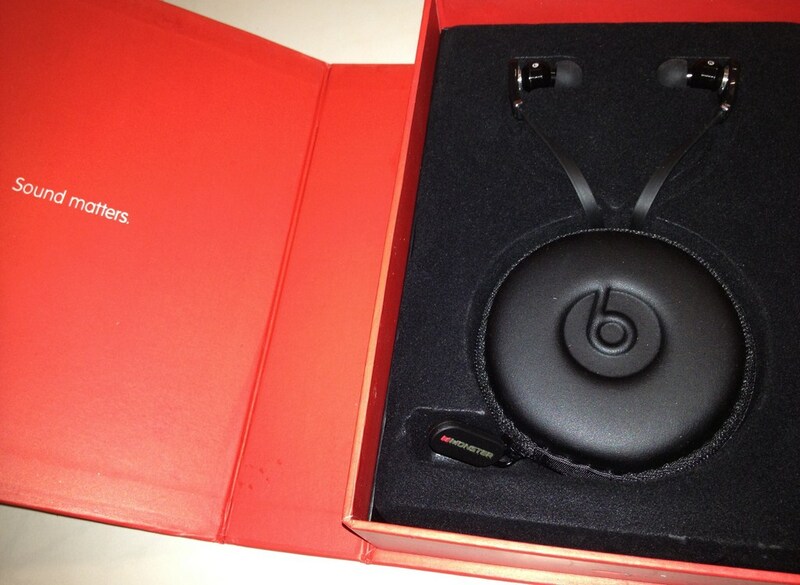 Been wanting to get my hands on a Beats earpiece for long but didn’t because of its high cost. Being a super cheapo person, I don’t really bear to spend so much money on just a mere earpiece. So the turning point came when I stupidly lost my iphone earpiece after work one fine day and almost claimed my colleague’s one as my own. Seriously, I have no idea how I managed to lost mine and where it went. An online friend recommend me to Isecret Blogshop, where they sell various models of Replica Grade AAA headphones and earphones. After looking through the various models, I’ve decided to get the Beats Tour with mic. Thanks to the super diligent service of the blogshop owner, my earpiece arrived with a few days from the day I placed my order. This is the first time I spent more than S$10 on a earpiece. Usually, I would get mine from Daiso to replace when needed. And that tends to happen every new months. Thus the decision to invest in a good one that can last me for long. Oh boy! Sure am I glad that I got it. I’m so amazed by the quality. Kinda regret not buying this earlier and wasting so much money on lousy Daiso ones. But lucky its still not too late now. Even my brother who tried likes it a lot too. There is a one minor minus point for me though. Despite using the smallest earplug, it still proves to be a little big for me. Maybe my ears are kinda small. Included with my earpiece is a pair of hook looking thingy. Been exploring it for days but stupid me still have no slightest idea on its usage. Can any friends kindly advise me on it? This is a die die everything must go clearance sales. Please kindly quote me a reasonable price for each item. Meetup is possible at CHINATOWN MRT for purchases over $50. Meetup at other MRT STATION is also available for purchases over $100 and pre- arrangements with me.